"WHAT IS TRUE FOR YOU IS WHAT YOU HAVE OBSERVED YOURSELF. AND WHEN YOU LOSE THAT, YOU HAVE LOST EVERYTHING." WHAT IS THE FOUNDATION FOR A DRUG-FREE WORLD? The Foundation for a Drug-Free World is a nonprofit organization headquartered in Los Angeles, California, and dedicated to the eradication of illicit drugs, their abuse and their attendant criminality. The Drug-Free World campaign is predicated on the statistically proven fact that wherever young people are presented with the unvarnished “truth about drugs,” illicit usage drops. Accordingly, the Drug-Free World information and prevention campaign features thirteen Truth About Drugs booklets—one for each of the most commonly abused substances. Campaign materials also include an Educator’s Kit to provide teachers, law enforcement and community groups effective tools to help young people make the right decision. Incisive public service announcements and documentary videos complement The Truth About Drugs series—ninety minutes on every drug of choice from those who have been there. To date, more than 700 million have heard or seen The Truth About Drugs message and wherever campaign materials have saturated populations, usage rates have dramatically dropped. Why are Scientologists so vocal on the subject of human rights? What is Church of Spiritual Technology? I’ve heard that Scientologists are doing good things for society. What are some specific examples? Can Scientology do anything to improve the world situation? 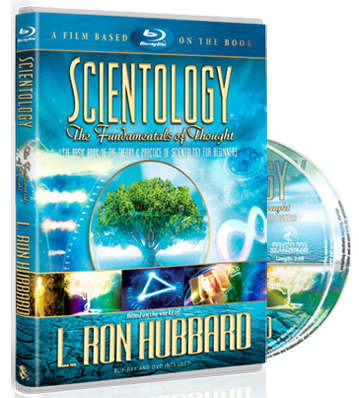 How are secular programs based on L. Ron Hubbard’s technology coordinated? Who are the Volunteer Ministers? What is the Way to Happiness Foundation? Why is Scientology opposed to psychiatric abuses? What is the Citizens Commission on Human Rights? 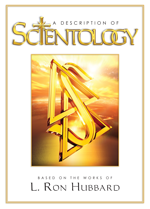 Why is the Church of Scientology considered a pioneer regarding Freedom of Information laws? What does Scientology do to protect the environment? Do doctors, schools, social workers, businesspersons and other professional people use L. Ron Hubbard’s technology? Does the Church of Scientology engage in interfaith affairs? What is the Scientology view regarding other religions? Why do some people oppose Scientology? Why has Scientology sometimes been considered controversial? Does Scientology view the press as hostile? Can Scientologists come and go as members of the Church if they wish? Why does the Church have confidential scriptures? Do Scientologists believe they are descended from aliens? Why has Scientology so often been in court? Why is everything copyrighted and trademarked in Scientology? Are there any laws against the practice of Scientology? Has it ever been banned? How does Scientology view deprogrammers and groups that attempt to force people to denounce their chosen religion? Is Scientology trying to rule the world? Are young children permitted in the Sea Organization? Discover for yourself what Scientology is. First, what are you most interested in?